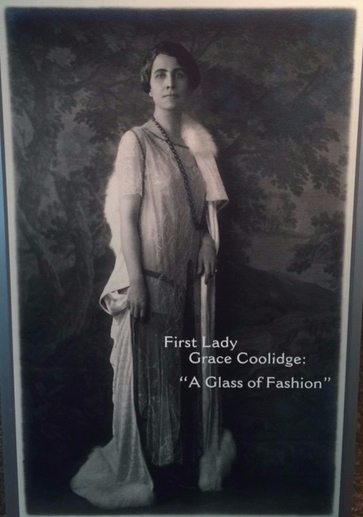 We invite you to visit the 2015 Season Exhibit at the President Calvin Coolidge State Historic Site, which stands as a living memorial to Grace. Organized by William Jenney, the Historic Site Administrator, the exhibit highlights the First Lady’s tremendous sartorial splendor, featuring five beautiful gowns from the collection of the Vermont Division for Historic Preservation, as well as other assorted accouterments, including handbags, hats, fans, and jewelry. Many of the items in the exhibit have never been displayed before, and the gowns themselves have not been on display in more than two decades. The President Calvin Coolidge State Historic Site is open daily May 23 – Oct. 18, 9:30 AM – 5:00 PM. For further information, call 802.672.3773, or visit the state-owned historic sites online at historicsites.vermont.gov. 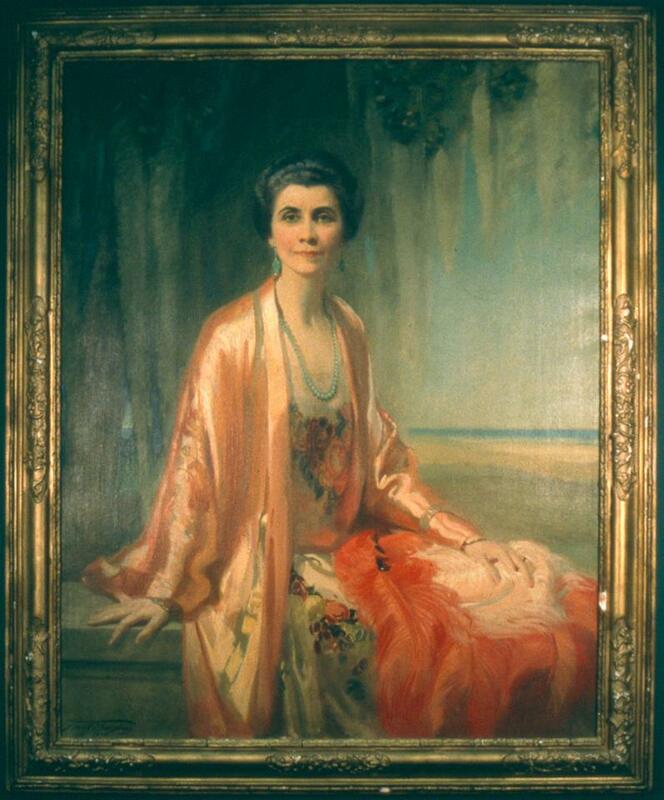 Portrait of Mrs. Calvin Coolidge, 1928. This oil and canvas portrait was painted when the Coolidges visited Sapelo Island, Georgia. The sitter’s gown, ostrich feather fan, and jade jewelry are part of the Calvin Coolidge State Historic Site’s collection. (Courtesy of the Vermont Division for Historic Preservation).